In the book 'Outliers', author Malcolm Gladwell says that it takes roughly ten thousand hours of practice to achieve mastery in a field. But what happens after the 10.000 hours? When the technicalities of performing is no longer a thing of concern, and the artist must ask the key question; ''What do I really want to say, what do I truly feel?''. Stan Getz delighted in recounting this story about Lester Young, from a jazz at the philharmonic tour bus in 1957; Sonny Stitt, a formidable accomplished but very competitive saxophone virtuoso began stomping up and down the aisle, playing one technically amazing phrase after the other. Everybody on the bus ignored him or pretended to be asleep. So too Lester Young, pork pie hat half covering his eyes. Sonny stopped right next to Lester played a last blindingly fast bebop lick and said ''Hey Prez, dig that!'' Lester peered up at him from underneath his hat and said; ''Very nice Lady Stitt, but can you sing me a song? Carmen Gomes, Folker Tettero, Peter Bjørnild and Bert Kamsteeg are long past the 10.000 hours and this is where it gets interesting. As an example take Bert Kamsteeg's playing on the introduction of ''Until you are ready'', he fills up the space left for him with only the bass drum leaving the rest of the kit alone. Or the carefully chosen notes and amount of effect Folker Tettero use in his replies on Holding Back the years, almost suggesting more than playing. Or the fills Peter Bjørnild plays in his line on ''Don't miss you", never in the way of the melody or the solo, but still firmly taking up the space, when it is available. And last but not least, the leader of the band Carmen Gomes, whose phrasing and control of emotion has reached complete mastery. Every word and melodic phrase seems to appear from years of soul searching and life experience. Carmen Gomes knows just how much or little is needed to convey the right amount of feeling for a particular song. Although sometimes the amount of feeling and emotion that is needed is almost too much for Carmen herself. 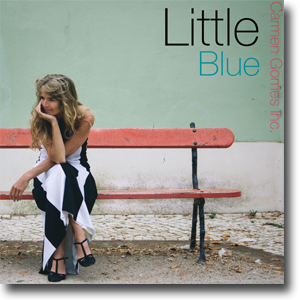 We had to call for break after the Little Girl Blue take because Carmen was in tears and overcome with emotions. You can hear the voice starting to break up towards the end of the song. Head engineer Frans de Rond is proving once again that his knowledge of mic placement and use of equipment is in a class of it's own. He is one of the very few engineers that is able to create a sound stage, which is intimate, yet has depth and space. A sound stage which you could say projects a visual image of the musicians. Not a ''wall of sound'' but rather something like a three dimensional Monet painting, where you can walk in and take a look around. The relationship between the artists and engineer goes way back. Frans de Rond and Peter Bjørnild has been friends since they met at the Royal Conservatory of the Hague in 1985, Frans mastering in sound engineering and Peter finishing his master's education classical double bass and jazz bass with a special grant from the Danish ministry of culture. Frans has been the engineer on all Carmen Gomes Inc. recordings since the debut of the band in 1995. When you have that kind of history a great level of trust has been created, a trust in each other's abilities and a genuine compassion for each other and the project at hand. All of which is evident on this recording. Little Blue was recorded in the legendary Studio 2 of the 'Muziek centrum van de omroep'', the music studios of the Dutch Broad Casting company. Studio 2 has remained in its original form since it was build in 1929. The studio has a unique warmth and depth, which we have not encountered anywhere else. With a decay of 0.8 seconds the room is perfect for chamber music and jazz ensembles. All 4 musicians were recorded in studio 2, with a minimum of baffles used.